As we move forward toward a carbon-free energy economy, there will be some tough environmental choices to be made. Expanding zero-carbon energy sources will require massive new sources of certain materials that can only be mined from the earth with a certain amount of local environmental disruption. Copper is one of those essential materials. All the new technologies powering any new revolution in green energy require copper as a conductive material. Solar panels, electric vehicles, wind turbines, new efficient batteries and the smart electrical grid to connect them all require copper. The investments in these necessary technologies will require massive new sources of copper. Someday, the conductive materials needed to power the technology of a zero-carbon economy may be fabricated out of carbon itself in the form of new carbon nanotube materials. Until then, there is no alternative to copper mined from the ground. My company, Applied-Constructal, specializes in solutions to enormous logistical challenges. Our own answer to the problem of remote mining involves the deployment of massive airships to move concentrated ore from remote mines without roads or railroads. Unfortunately, the vision and capital needed to realize this transformative technology for the far north has not yet developed. Until it does, there is no alternative to ground transportation and roads. It is critical that such roads be built and managed with minimal disruption to the environment and the Native community. Fortunately, we have the technology and know-how to mine copper efficiently in remote parts of Alaska, concentrate the ore at the mine site and export it to global markets, with limited environmental impact. The Ambler Mining District Industrial Access Project, known colloquially as the Ambler Road, is one example of a responsible solution to the problem of getting the copper out of a carefully managed mine site. The proposed one-lane gravel road will stretch about 200 miles from the Ambler mine site to the Dalton Highway, which will connect to the closest railway in Fairbanks. There are two alternative routes for the road being considered by the U.S. Bureau of Land Management. The Ambler Road is a public-private venture spearheaded by the Alaska Industrial Development and Export Authority in collaboration with Trilogy Metals NANA, the Northwest Arctic Borough and other communities along the transportation route. The cost of the road will be paid by the mining companies. A bond offering by AIDEA will be repaid by Trilogy and other mine owners, covering the cost of the road plus interest. The state will receive tax payments and royalties will be distributed to local partners. The Delong Mountain Transportation System, which worked well for the Red Dog zinc mine, illustrates the success of a similarly structured public-private partnership. Like the DMTS, the Ambler Road will not be built with state of Alaska funds or cost taxpayers a dime. However, the cash flow from the new mines in the Northwest Arctic Borough will benefit the entire state. New jobs will be created at the mine site and along the transportation route, from the security and maintenance station near Coldfoot and Wiseman to the Alaska Railroad transfer point in Fairbanks and in Anchorage, where containers of copper concentrate will be loaded at the Port of Alaska. The economic potential of the copper ore beneath the surface of the Ambler Mining District cannot be realized without expanding and maintaining Alaska’s existing infrastructure. The delivery of copper concentrate to the lower 48 and overseas, depends on improving Alaska’s existing seaports and freight services. Both systems are severely underutilized and operating below potential capacity. Copper concentrate from the Ambler mining district would add at least one more day per week of operation to Anchorage’s port, probably more. With a steady stream of copper ore concentrate from the Ambler mine, the Alaska Railroad would gain a significant source of freight income and become less dependent on summer tourist traffic. The Ambler Road plan also takes advantage of using the existing infrastructure in the state — the Dalton Highway, Alaska Railroad and Port of Alaska in Anchorage. 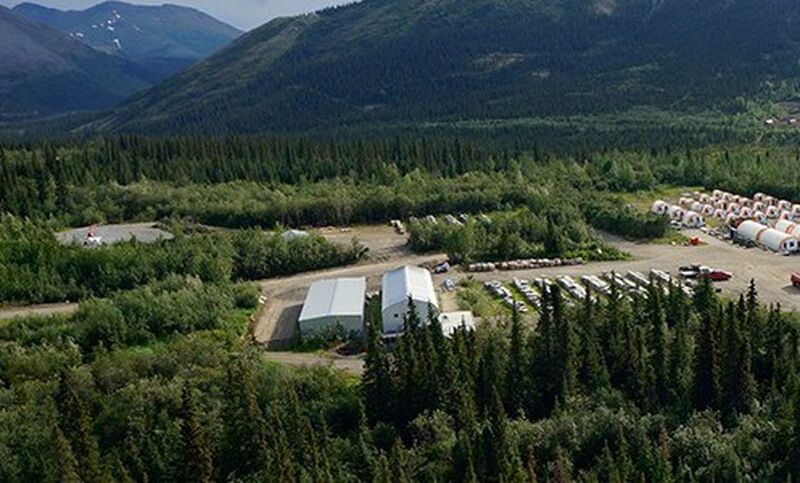 To make the economic engine of the Ambler copper mine a reality for Alaska, the Ambler Road has to be permitted by both Federal and State agencies. The access road is the crucial segment of infrastructure linking the mining district to the existing rail and port networks. The environment must be protected at every point of the roads construction and operation. Various routes out have been designed to safeguard ecosystems, and there are well-engineered bridges and culverts to protect rivers and streams and protect the fish and wildlife that need the water to survive. As at the Red Dog Mine, caribou will be given the right of way. Drone technology will be used to monitor caribou movements so that the annual migration will go on unhindered. A way forward to a sustainable energy future is not without hard choices and risk. The Ambler Road is a reasonable safe way to obtain the copper that future requires. David J. Prum is president and founder of Applied-Constructal, Inc.